VisualArts revealed the voice actresses for their newest visual novel Summer Pockets, coming to PC on June 26 in Japan. Revealed with a new illustration, Summer Pockets will feature the voices of Tomomi Mineuchi (Slow Start) playing Kamome Kushima, Konomi Kohara (Tsuki ga Kirei) playing Shiroha Naruse, Emiri Iwai playing Tsumugi Wenders, and Natsumi Takamori (Another) playing Ao Sorakado. 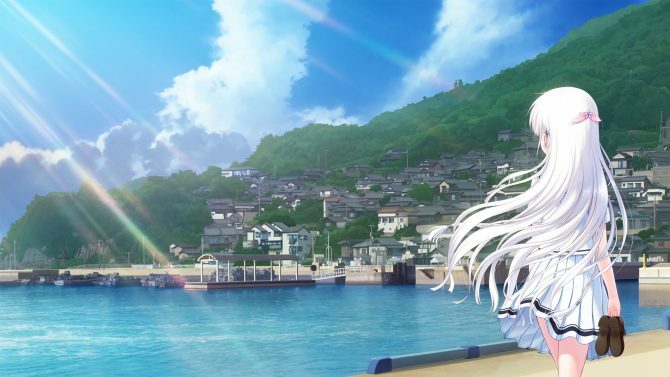 Summer Pockets is a visual novel that takes place on an island called Torishirojima. Players will assume the role of the main protagonist Hairi Takahara, who has recently moved to the island after inheriting his grandmother’s estate after she passed away. During the story, players will meet the four aforementioned female protagonists and become closer to them over the course of the game. It’s to be expected that, like other Key developed visual novels, Summer Pockets will involve themes demonstrating emotional feelings of sadness and love. The game will allow the player to discover the island and the real reason why Hairi moved to the island because evidently, that was just an excuse. 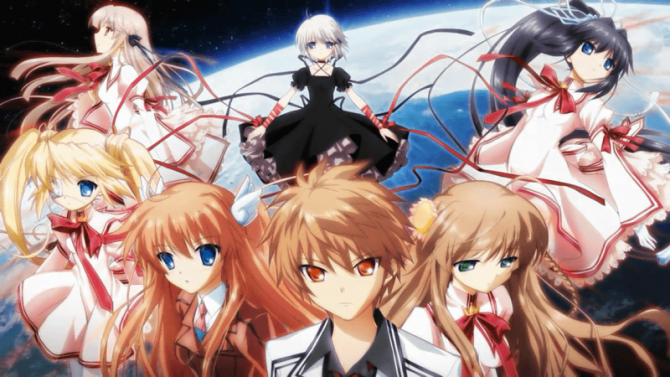 Currently, there is no word on a western release, but VisualArts has been focusing on bringing there games west, including the recent release of Little Busters! English Edition. Clannad will release digitally for Switch in 2019 and will support English. 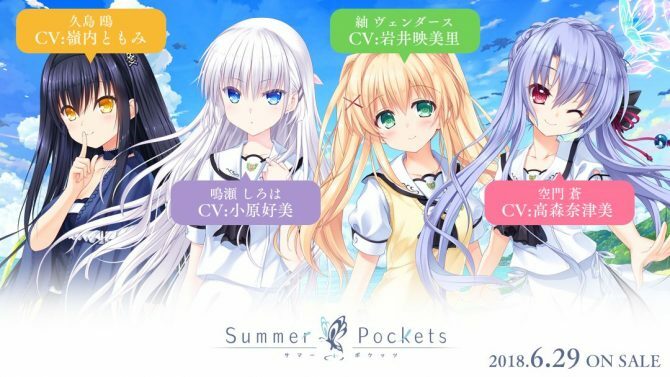 Key's latest game Summer Pockets is coming there as well but only in Japanese. 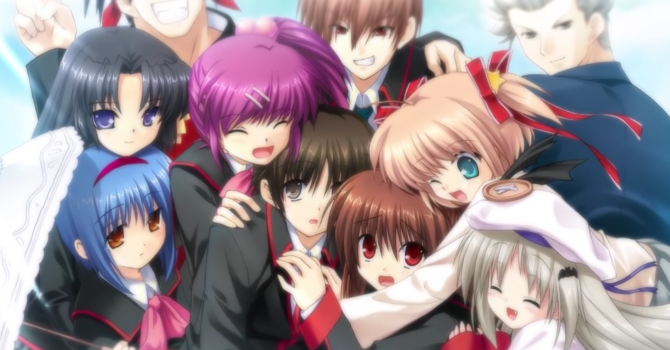 Harmonia Review — Why Must I Cry?